Oracle Java 11, the first long term support release, can now be installed in Ubuntu, Linux Mint and Debian from the Linux Uprising Java PPA. For what's new in the latest JDK11, read the release notes. You may not: use the Programs for any data processing or any commercial, production, or internal business purposes other than developing, testing, prototyping, and demonstrating your Application. This quote is from the Oracle Java SE license (via). As a result, you should only use Oracle JDK if you intend to pay for it. Use OpenJDK, which is available in the Debian / Ubuntu repositories, for anything else. From Java 11 forward, Oracle JDK builds and OpenJDK builds are essentially identical with a few differences you can read about here. Oracle Java 11 is available to download as a DEB package, but all the package does is install the files to /usr/lib/jvm/jdk-11, just like it would be if you copied the extracted directory there, without any options to set it as default / update the Java alternatives, set environment variables and so on. 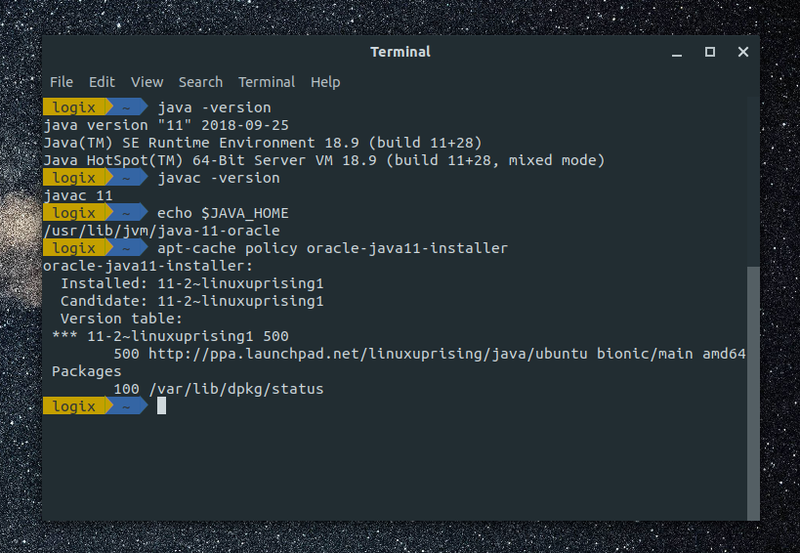 The Oracle Java installer from the Linux Uprising PPA can set Java 11 as default, set environment variables (JAVA_HOME, etc.) and easily undo this. The installer downloads Oracle Java 11 (64bit only as that's what Oracle provides) from Oracle's servers because the license doesn't allow uploading the binary to the PPA. 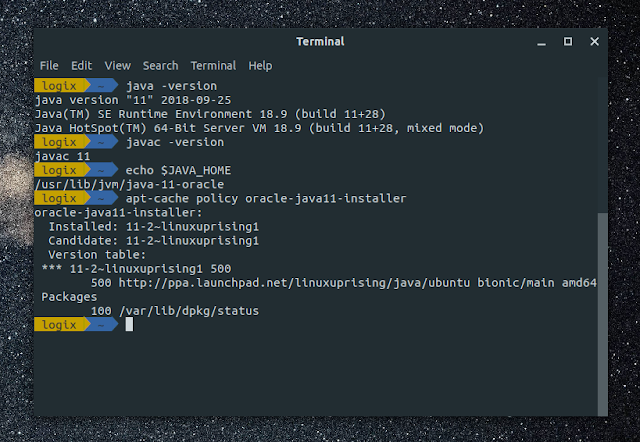 The package in this PPA uses the Web Upd8 Java package installer as a base, but it's modified to install the latest Oracle JDK 11. If you decide to use OpenJDK instead of Oracle Java: Users running Ubuntu 18.04 or older can install OpenJDK by using an official Ubuntu PPA. You might notice there's an openjdk-11-jdk package in Ubuntu 18.04 (and Linux Mint 19), but that package actually contains OpenJDK 10. The PPA I mentioned provides the actual OpenJDK 11 package. See this article for more information and installation instructions: How To Install OpenJDK 11 In Ubuntu 18.04, 16.04 or 14.04 / Linux Mint 19, 18 or 17. The oracle-java11-installer package has a Recommends field for the oracle-java11-set-default package, which sets Oracle Java 11 as default (including setting the JAVA_HOME environment variable, which requires a session restart). Such recommended packages are installed automatically on Ubuntu, but are not on other Debian-based Linux distributions. This package supports installing Java 11 by manually downloading the archive. This is useful in case you're behind a firewall or your ISP somehow blocks the Oracle JDK 11 download link (so you can download it from a different computer, etc.). To do this, download the Oracle Java 11 tar.gz archive and place it in the /var/cache/oracle-jdk11-installer folder. Next, install the oracle-java11-installer package using the regular instructions and it should pick up the downloaded tar.gz archive instead of downloading it.